The Elephant Seal Research Group is carrying out a research project on killer whales of Sea Lion Island. 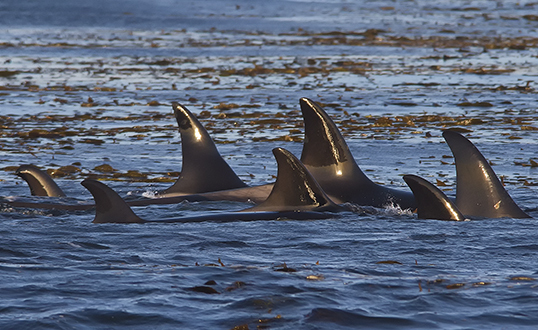 Killer whales are regular visitors of the island, but information on their activity, sociality, and feeding strategies is scarce. Although elephant seal predation by killer whales is often reported by Sea Lion Island visitors, its real frequency is unknown, and the capability of killer whales to regulate the population dynamics of elephant seals is uncertain. The same holds for the other potential killer whale preys that breed on the island, including southern sea lions and various species of penguins. 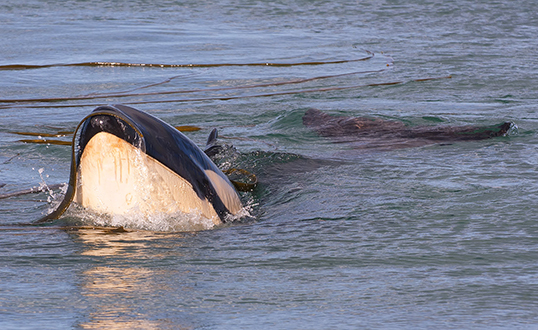 In 2013 we begun a study of the killer whales of Sea Lion Island. 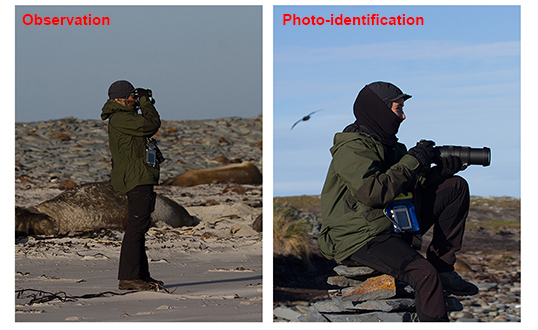 We are doing a lot of hours of observations to determine activity patterns and social organization, we are building a photo-identification catalogue, and we are trying to estimate the impact of killer whales on their potential preys, including the elephant seals. - even the killer whales that regularly visit the island disappear for days or weeks before resuming their regular visits, and we do not know where they have been in the meanwhile. All together, notwithstanding the great observation effort we are missing various piece of the puzzle. 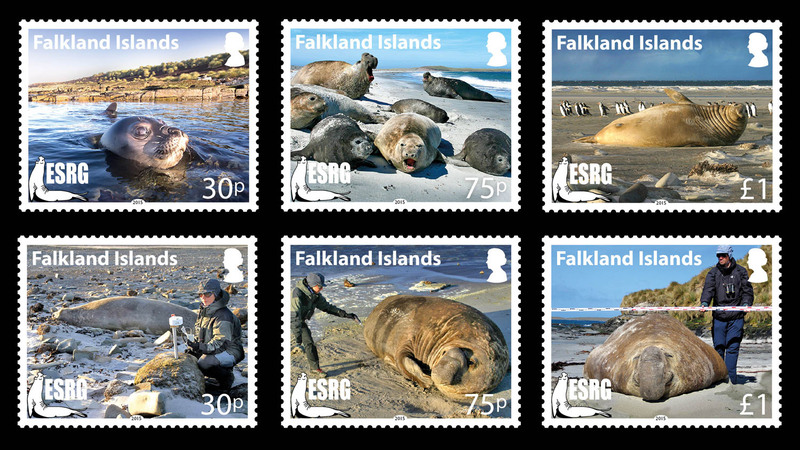 To fill these gaps we badly need information about: a) the presence of killer whales at Sea Lion Island during the past years, b) the sightings of killer whales in the rest of the Falklands, and c) the sightings of killer whales in open sea. The best way to gather information about killer whales is by taking pictures, because they can permit the photo- identification of the individuals. All together, we ask everybody who may have pictures of killer whales, taken at Sea Lion Island or elsewhere, now or in the past, to help our research by sharing them. The pictures will be used only for the research project, and any contribution will be acknowledged. Please contact us by e-mail at orcas@eleseal.org. Thank you for your kind help !